The 2002 20 foot Palm Beach is our original pontoon.It's a little rough around the edges but It has a great 40 horse 4 stroke motor and is fun to drive. 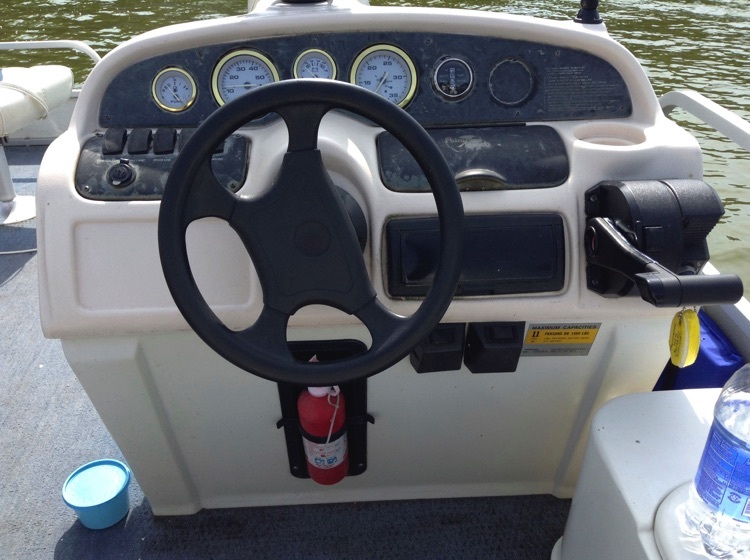 It has a captains chair, wrap around couch and 4 fishing seats. 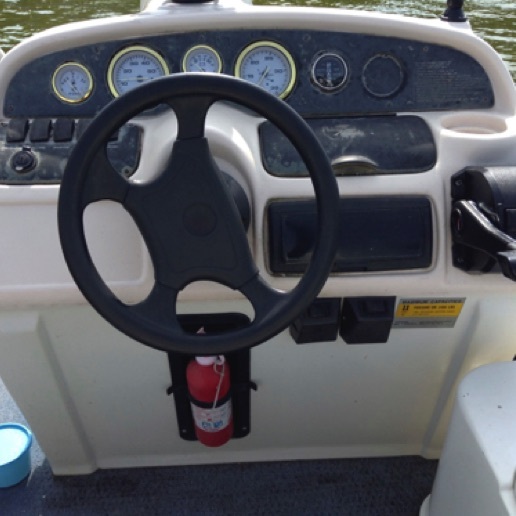 It is outfitted with a depth finder, livewell, and canopy. Trolling motor available for an additional $50.00. It is rated for up to 10 people.